Our wine racks have been designed to be as versatile as possible in terms of storage methods for all types of wine and bottles. 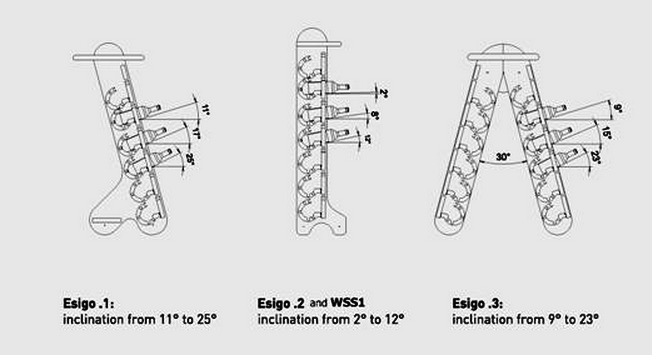 This patented, innovative system allows bottles to be stored at different angles in wine racks Esigo 1 Classic, Esigo 2 Classic, Esigo 3 Classic and WSS1 collection. With our Bottle Inclination System, the angle at which bottles are stored can be varied so as to offer excellent keeping characteristics regardless of the shape and size of bottles. The system provides good product visibility.